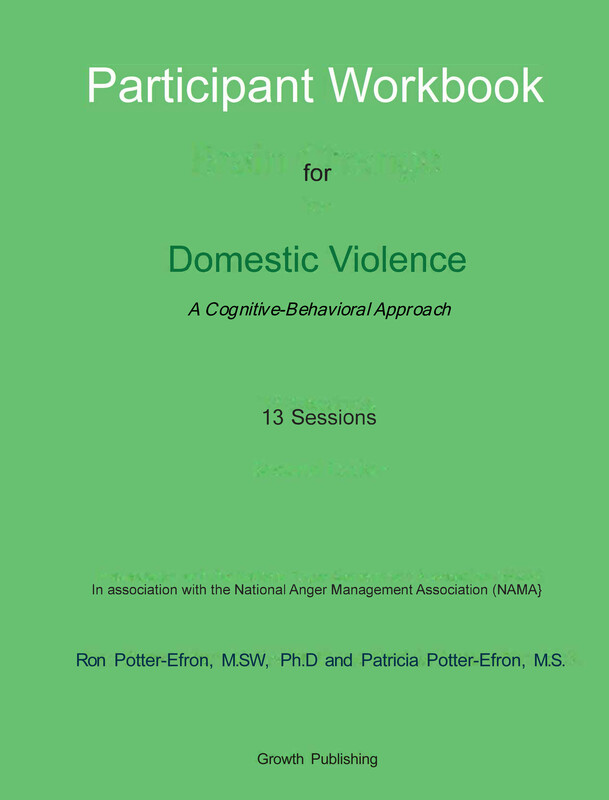 The Participant Workbook – (Cognitive-Behavioral) for Domestic Violence – 13 Sessions is the result of Dr. Ron Potter-Efron and Pat Potter-Efron’s work and experience in providing anger management and domestic violence treatment for almost 30 years. The combination of their experience and wealth of knowledge in the field of neuroscience has earned the endorsement of the National Anger Management Association (NAMA). The integration of neuroscience, anger management, and domestic violence proves significant for the treatment of domestic violence offenders. For instance, the volume of brain matter increases substantially as an individual chooses to practice a new skill. This Participant Workbook offers an innovative ‘brain change plan’ with a focus on ‘safety for all’. 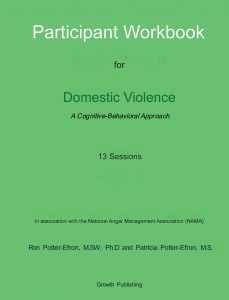 Ronald T. Potter-Efron, MSW, PhD, is a clinical psychotherapist who specializes in domestic violence, anger management, and the treatment of addictions. He is a Distinguished Diplomate of the National Anger Management Association (NAMA) and the author of many books including “Angry All the Time” and the “Handbook of Anger Management and Domestic Violence Offender Treatment”. Patricia S. Potter-Efron, MS, is a clinical psychotherapist, domestic violence group facilitator, and co- author of numerous books including “Letting Go of Shame”. She is a Distinguished Diplomate of the National Anger Management Association (NAMA) and a Certified Anger Management Specialist-V (CAMS-V) and Certified Domestic Violence Specialist-V (CDVS-V).